Claytex exhibit and present at the Future Powertrain Conference 2018. Industry and academic experts within the powertrain development field get together to discuss the solutions to the challenges faced by the engineering industry in the UK and internationally over the coming years. With multiple pressures pushing the industry to meet ever tighter emission regulations, the need to develop and implement new technology is increasing all the time and the inherent risks can only be mitigated by a better understanding of the technology. To help strengthen the UK engineering community and to meet this challenge FPC2018 aims to bring together and help bridge the gap between scientists and engineers from the UK’s leading academic institutions and the best of the UK’s industry. On our stand, we will be showcasing our range of Systems Engineering Solutions including Dymola, VeSyMA and rFpro. 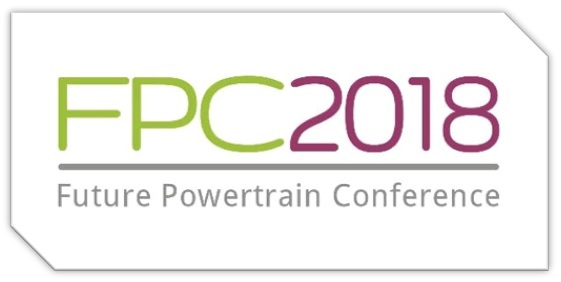 During the Future Powertrain Conference 2018, Claytex will be presenting two posters on the application of VeSyMA and Dymola in the modelling of dual clutch transmissions and for the design of heavy-duty EV cooling systems. The dual clutch transmission example presented shows how a detailed model can be used to parameterise a much simpler, real-time capable version of the model. A key topic in the development of any electric vehicle is the design and sizing of the cooling system. Claytex worked with a renowned manufacturer on the design and sizing of the cooling system of innovative fully electric heavy-duty vehicles, providing tools, system models and methodology. The modelling and simulation work supported the decision making at various stages of the new technologies development process, from the problem definition to the detailed design, allowing the selection of the optimal solution in a cost-effective way. A new product range of ADAS workstations, now available from Claytex, will also be showcased during the two-day conference. These are built using rFpro to provide the virtual test environment and support the plugin of vehicle and sensor models developed in a wide range of tools. These workstations are suitable for the development of ADAS and autonomous systems and enable the whole vehicle, including sensors and control systems, to be immersed into the virtual environment. Claytex has already delivered these systems to support the development of autonomous vehicles coupling the virtual environment to the real AI processor that is used in the vehicle. If you have any questions or for more information, please do not hesitate to contact us.